Dallas, TX – November 21, 2017 Alternet Systems, Inc. (USOTC: ALYI) today released a shareholder presentation to review the recently filed financial report for the 3rd Quarter of 2017 highlighting the company’s transition to a new lithium energy integration and development business plan. The report is available on the Company’s website and with the entire narrative included below. On July 21, 2017, the Company acquired Lithium IP Holdings in a transaction that included a management and business direction change. Randell Torno was named the new Alternet Systems Chairman and CEO. Edward Bollen, the President of Lithium IP Holdings, also joined the Altnernet Systems management team. On June 23, 2017, Lithium IP Holdings executed an agreement with Air Products and Chemicals, Inc. (NYSE: APD) to exclusively license ten U.S. Patented lithium battery technologies with an option to acquire the ten U.S. Patents. Randell Torno and Ed Bollen both have a long background working with companies that are key participants in both industrial and military technology industries. Together they bring both public and private sector experience working in the military and intelligence sectors. Both retired from government service, but are still engaged in recurring work with foreign and domestic government agencies. In their experience, they have repeatedly come across demand for resilient energy solutions that meet industrial and military requirements for stable, safe, long duration power in high impact operating systems. Accordingly, they went to look for such a technology solution and found the portfolio of ten lithium energy technology patents that are now exclusively licensed to Alternet in an agreement that includes an option to purchase. Alternet’s business strategy today is to partner with prominent third parties producing products and services that require stable, safe, long duration power in high impact operating systems. Within such partnerships, Alternet and each partner will together develop an integrated solution that includes a power component based on Alternet’s lithium technology. 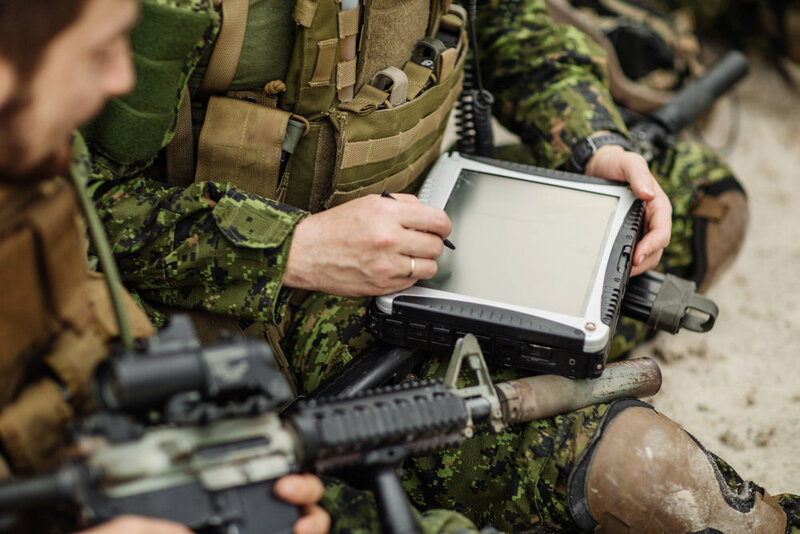 The combination of Alternet’s military background and high potential of the technology for applicability in military solutions presents a promising partnership development opportunity. At the same time, Alternet is also developing partnerships separate from the military industrial sector to include the Electric Vehicle (EV) and Hybrid Electric Vehicle (HEV) partners. Several potential partners participated in Alternet’s vetting process when identifying and selecting a technology to acquire as the foundation of the company’s strategy to bring a stable, safe, long duration power solution to market for high impact operating systems. Partnership announcements are anticipated to be forthcoming soon. The current financial statement largely reflects the previous financial services business which it exited when the company acquired the current lithium business. The company has little in the way of revenues to report over the last two years from its previous financial services business. The company anticipates generating future revenues from the integration and development of lithium power solutions. The balance sheet reports over $4 million in legacy liabilities. Management is actively engaged in addressing legacy liabilities that have little in the way of any security since the debts were incurred from the financial operations that are no longer active. Management’s goal is to reduce or write-down a substantial portion of the legacy debt. At the same time, the value of portfolio of patents has been estimated at approximately $3 million. The company has conservatively not entered any asset value on the company’s balance sheet at this time. As the company engages into partnerships to integrate and develop lithium solutions based on the portfolio of the lithium patents, the conservative approach to addressing the value of technology portfolio can be offset by the resulting revenues. Management’s goals include executing the first lithium integration and development partnerships and making dramatic improvement to the company’s balance by the time the 2017 year-end financial statement is reported. Lithium Exploration Group, Inc. (USOTC: LEXG) and Alternet remain engaged in business development efforts surrounding a combined strategy leveraging the respective lithium technologies of both companies. The two respective management teams consider the two respective lithium technology portfolios to be complimentary and remain committed to striking a deal between the two companies.